This is a discontinued edition and it is very hard to find, though soon it is going to be available at Iguana Sell, because we are going to have an exhibition of special editions of Pelikan! We will keep you updated with more information, though until then, here you have some information about this marvellous Fountain Pen. 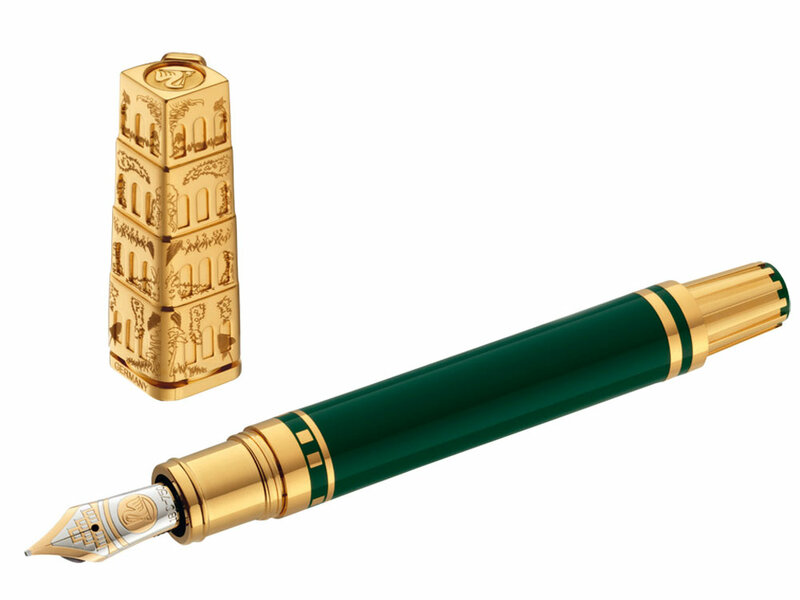 Pelikan has set exacting standards for “The Seven Wonders of the World” Edition: superior craftsmanship and the artistic rendering of the Edition’s respective subject matter are both prerequisites. “The Hanging Gardens of Babylon” Limited Edition fountain pen thus combines German precision craftsmanship with elements of a long-lost age. Each pen detail has been meticulously designed and crafted with to reflect and pay tribute to this magnificent achievement. The new Hanging Gardens writing instruments are intricate in detail, with a gold plated cap which artistically depicts four stepped terraces. The dark green barrel is refined with lacquer and polished to a high gloss. 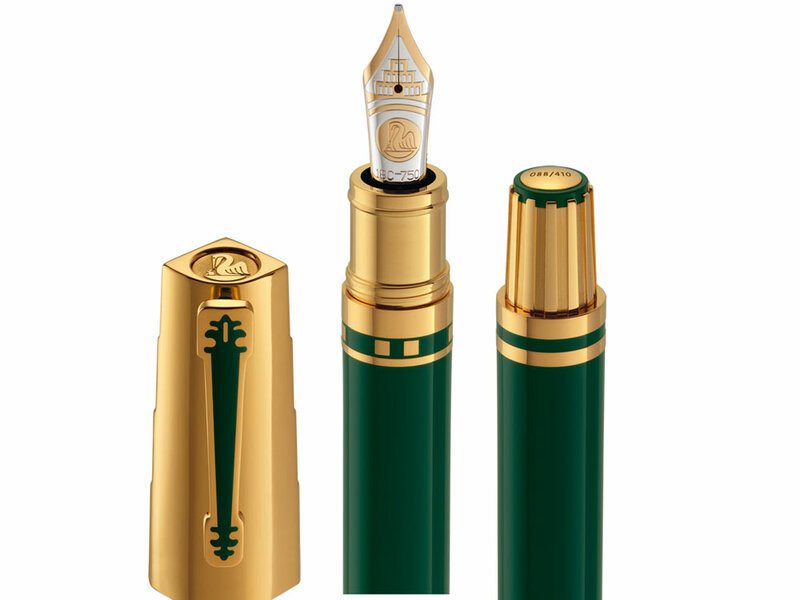 Edged by gold plated rings, it flows into the superbly crafted front part of the fountain pen. 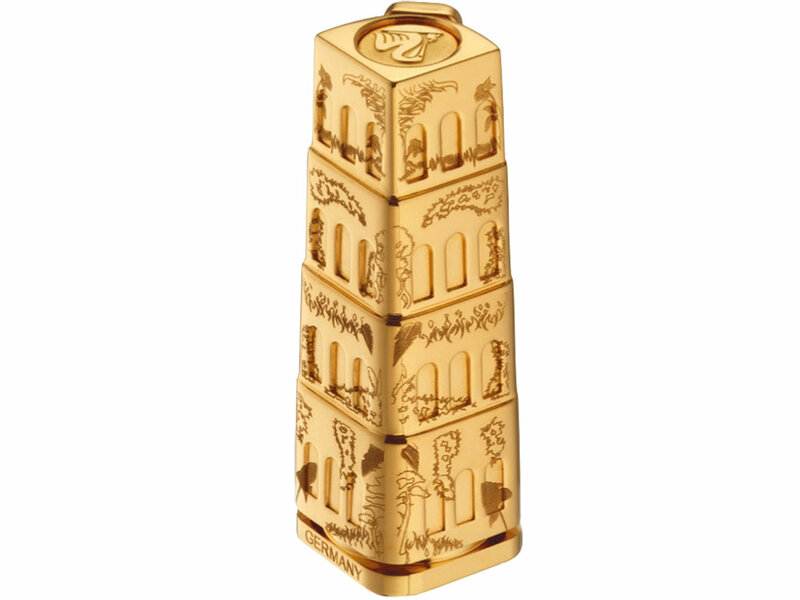 The hand-crafted 18 carat gold nib is decorated with an individually embossed stylized rendering of the terraces. The Hanging Gardens series writing instruments offer a new elegance, uniting functionality, durability and beauty. The new Limited Edition has its own dedicated serial number engraved into the filling handle identifying each fountain pen as a unique masterpiece. 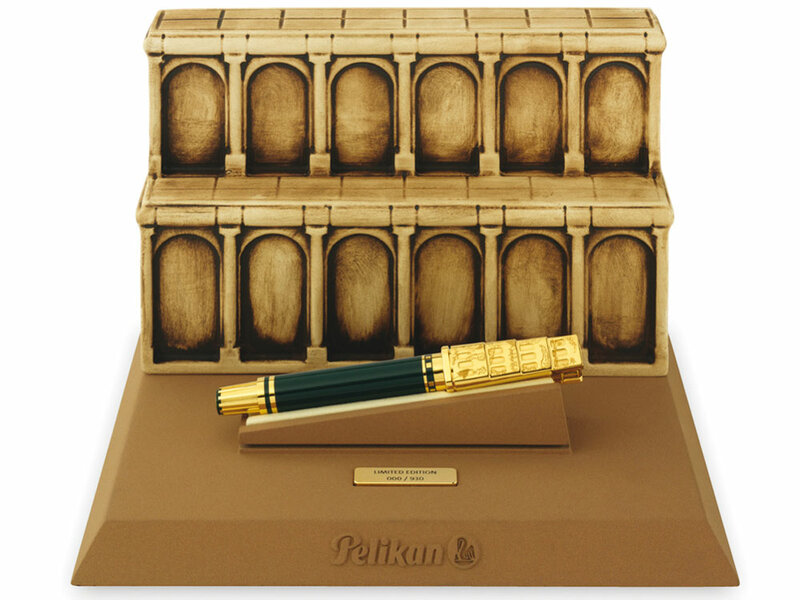 Pelikan has crafted just 410 of these precious writing instruments, a number chosen to represent the work of the Babylon priest Berossos from the 4th century BC, the first scribe known to us who has ensured through his writings that this magnificent terraced garden would be remembered and not disappear into oblivion. The “Hanging Gardens of Babylon” fountain pen has been released in the year 2009 and is limited to 410 pieces. We will keep you updated with information about our exhibition!